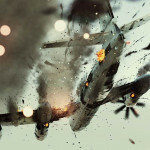 Due out imminently Ace Combat: Assault Horizon promises some high octane explosive thrills. 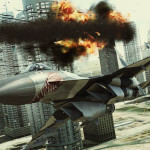 Developed by the Project Aces team at Namco Bandai Games Inc. in Japan, Ace Combat: Assault Horizon brings a new intensity to the franchise, escalating combat to the next level with aircraft that are literally torn apart, spewing oil and debris across the sky. 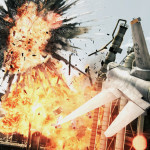 Players will engage in intense single player and online multiplayer combat over real world locations, dodging skyscrapers and turning enemies into fiery supersonic debris. 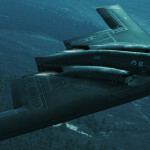 Never before has combat been so fast and in-your-face. 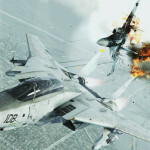 In the jet fighter mission, players will step into the shoes of the game’s hero Bishop for the first time and engage in an intense dogfight over sun-kissed Miami. The sequence serves as the game’s tutorial level and introduces Bishop’s deadly adversary Markov. 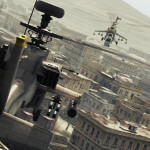 The second part of the demo is the helicopter mission. Players will take on the role of helicopter pilot D-Ray as he lays waste to enemies in spectacular style in support of a high risk rescue operation by the elite Delta Force special forces unit. 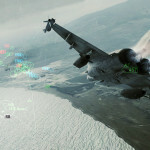 The missions will give players a small taste of the visceral combat, deadly airborne devastation and rich variety of missions and aircraft in the final game.